Do Old Stone Homes Keep Their Cool? We love to wax romantic about old stone homes and for good reason – they’re gorgeous! But in doing so we may sometimes perpetuate a big myth — that, thanks to those thick stone walls, old stone homes stay as cool as cucumbers on the hottest summer days. Sorry to burst the bubble, but the truth depends in some circumstances on a home’s location and a scientific principle called thermal mass (building material’s ability to store heat). The sun rises in the morning and its rays reach the earth, heating the outer layer of a home’s stone walls, which, in the a.m., are cool to the touch thanks to chilly night air. Because of stone’s density, heat seeps through the wall VERY slowly, so that by the time the sun sets, heat is just starting to reach the home’s cool interior. Bravo! That bit of warmth inside feels great when the night air turns chilly. When morning arrives and the sun rises again, interior warmth has dissipated, exterior walls are cool again and the process starts all over. Old stone homes may be bad news in areas of the country where, during the summer, nighttime temps don’t drop dramatically and a cooling effect never occurs. Your home takes on the temperature of the surrounding environment and holds it — yikes — like a big ol’ bake oven! The solution comes in the form of insulation, placed somewhere inside the stones walls, energy efficient windows and an effective HVAC system. Own an old stone home? Struggle to keep interior temps comfortable in the summer? Tell us your story! The first tale comes from The Day, a daily newspaper out of New London, Connecticut. Reporter Ann Baldelli tells the story of the Stone House, a circa-1825 granite home built by banker Elias Brown and later purchased by the Stanton brothers. Descendants of the Stantons have pulled resources to restore the grand home, left in ruins after a tragic fire in 1924. By the time all’s said and done, family members will have spent $1.3 million on the renovation. Plans are to use the home and seven-acre property as a family vacation getaway as well as a source of income via VBRO rentals. Read more about Mystic’s Stone House here. The second story comes directly from the owner: New York City artist, floral designer and interior stylist Amy Beth Cupp Dragoo, who has chronicled the restoration of her old stone home, the Ella Speer house, via Instagram, twitter and her own blog. The home, located in Rockland County, New York, and built in 1936, has only had three owners, yet still required its share of troubleshooting and TLC. Dragoo’s imagery is simply stunning and she shares, step by step, her inspirations for each space via Pinterest pics, color palettes and fixtures. 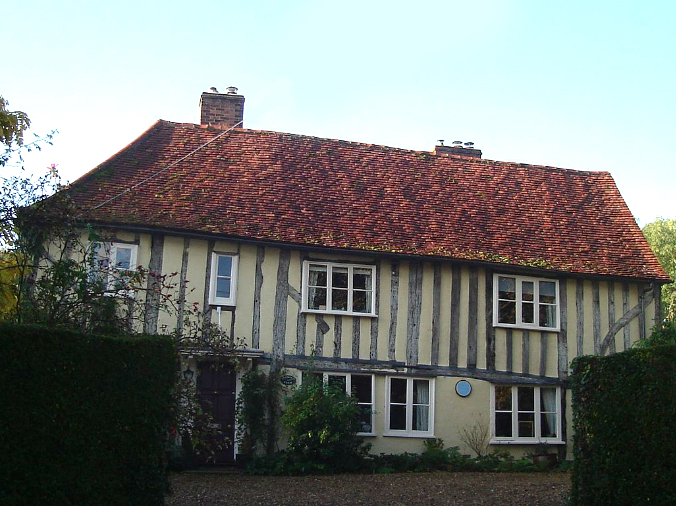 See the restoration of the #newoldstonehouse here. Stone homes don’t immediately come to mind when one thinks of Southern states and early American architecture. That’s why the Rock House, located in Thomson, Georgia, is of such particular interest. The oldest stone home in Georgia, the Rock House was built by Thomas Ansley, a farmer born in Monmouth County, New Jersey, in 1737. After 1760, Ansley lived in North Carolina and then moved to Wrightsboro, a Quaker village located in Warren County, Georgia, before 1773. It was here in Wrightsboro, between 1783 and 1785, that Ansley built his stone home, using construction methods brought with him from the Delaware Valley of New Jersey. The weathered granite that was used to form the home’s two-foot-thick walls was quarried near the home site and locally sourced pine and cypress comprised the timbers and shingles respectively. The one-story fortress-like home featured a raised basement with large walk-in fireplace where meals were cooked, a main floor with parlor and bedrooms and a full attic. The Rock House is owned by the Wrightsboro Quaker Foundation, which restored the house in 1981. The home is listed on the National Register of Historic Places and is said to be haunted. You know those two-story, take-your-breath-away stone homes you sometimes find closer to city centers and clearly built by skilled tradesmen? Congrats! You’ve just happened upon a Georgian-style home. Why significant? 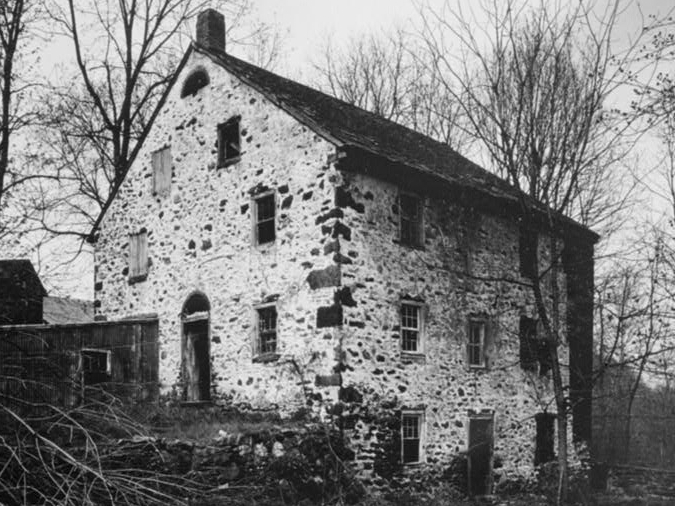 Early American stone homes called upon regional folk styles and were often built by owners themselves. By the 18th century, we had established ourselves in this country and had amassed enough wealth to build more formal, refined structures. The Georgian style (1700-1780) gave way to the Federal style after the American Revolution. Cliveden (Benjamin Chew House, shown above), located in Germantown, Philadelphia, Pennsylvania, is a fine example of Georgian style. The mansion was in part designed by its owner Benjamin Chew, a successful Philadelphia lawyer, and built by Mennonite master carpenter Jacob Knor, mason John Hesser and stonecutter Casper Geyer. The home takes inspiration from Kew Palace as well as patterns in James Gibbs’s Book of Architecture. An ashlar front of gray Wissahickon schist (the predominant bedrock underlying Philadelphia) and gable ends and back of rubble construction are outstanding features. Could you see yourself as the master of a grand Georgian estate? Take our stone home personality quiz to find the home style that’s right for you. 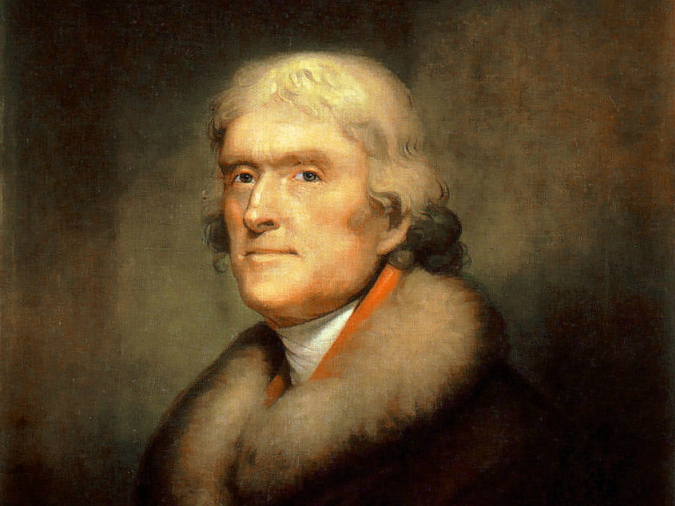 Founding father and third president Thomas Jefferson was a proponent of stone and brick home construction. Stone and brick were considered poor insulators that let in cold air and damp conditions unless packed tightly together to form 2 to 3-foot-thick walls. Dew that gathered on thin interior stone or brick walls created an unhealthy living environment. Lime used to make mortar was scarce, as were stone masons. Lumber! Trees had to be cleared from a home site before construction could begin so why not use what was readily available? Timber framing was familiar to this group, homesick and longing for reminders of the Old Country. English colonists built homes to resemble those they left behind, like this 17th century home located near Chelmsford, England. 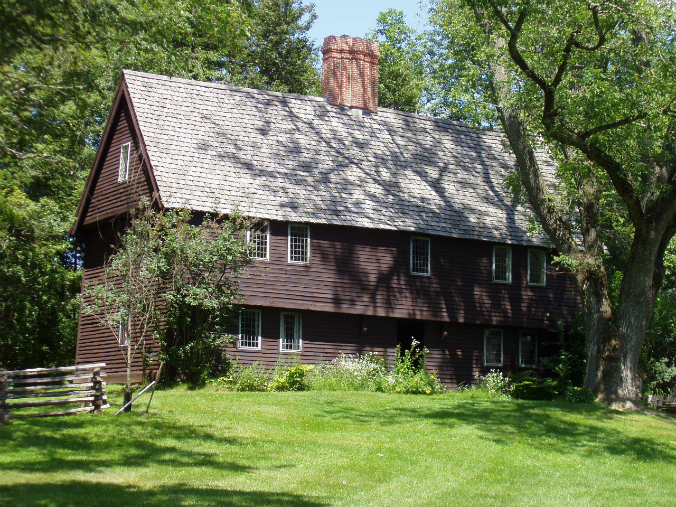 The Parson Capen House, located in Topsfield, Massachusetts, is a fine example of 17th century New England architecture. The home bears a strong resemblance to houses in Toppesfield, England. Who loved a cozy, solidly built stone home? Dutch settlers in the Hudson valley of New York and northern New Jersey, and German, Quaker and Scots-Irish settlers in eastern Pennsylvania. Each group constructed homes in farm styles similar to those they left behind in the Old Country. The best way to cure the damp caused by condensation, wrote Jefferson? Light a fire! 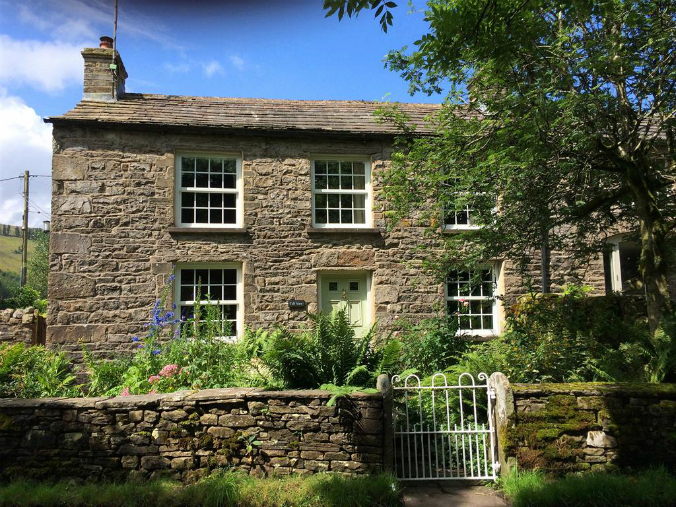 This all-stone cottage, located in Northern England, would have served as a farmer’s home. 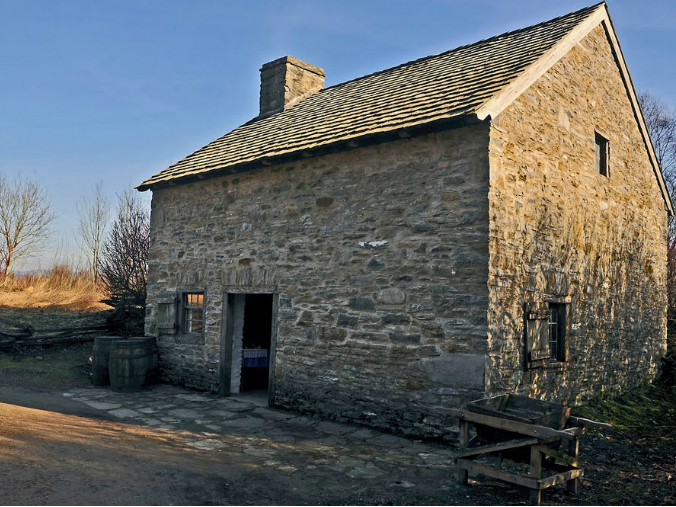 The Samuel Fulton Home, originally located in Lancaster County, Pennsylvania, was patterned after old stone farmsteads that dotted the countryside in Northern England, Scotland and Ireland. 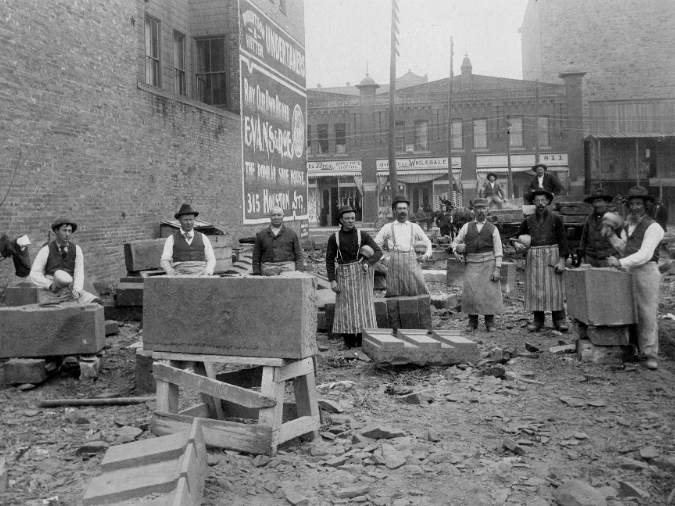 Stonemasons, circa 1906, Fort Worth, Texas. Source: Hometownbyhandlebar.com. The earliest American homes were built with stones gathered from open fields or unearthed while a farmer tilled his land. These stones were not shaped with tools, but cobbled together as-is, with mortar used to seal — and compensate for inconsistencies in stone shapes and sizes. The most smoothly faced stones were reserved for the exterior, front-facing sides of stone walls. Once we had our footing in this new world, we refined the building process and quarried stones for home construction. Enter the stone mason. Once stone blocks were rough cut from the face of a rock quarry, the mason “dressed” or “faced” the stones to suit construction needs. 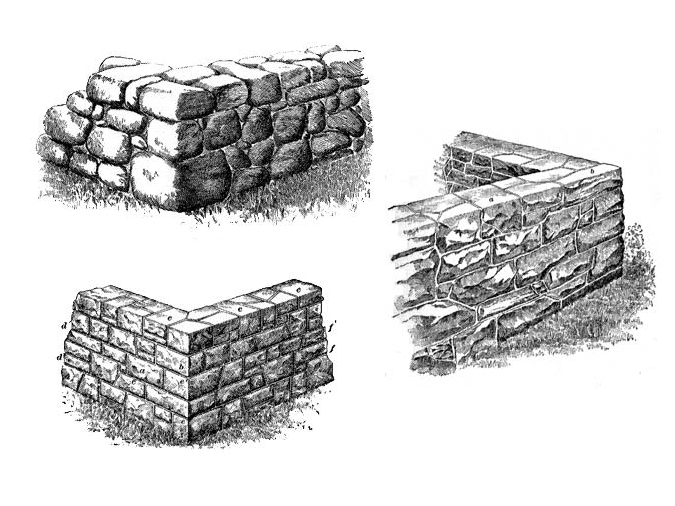 Wall types, clockwise from top left: Fieldstone, rubble and coursed rubble. Source: stone.poplarheightsfarm.org. To rough-face a stone, the mason first used a mashing hammer to trim away any projections that would prevent the stone from being laid in a straight line. Next, following straight lines he marked with a square, the mason would fine tune his work by trimming away additional stone with a pitching tool and mallet. To smooth-face a stone, a pick was used in place of a pitching tool. Once all that pounding, trimming and chiseling was done, wall height and width were staked out with string, mortar (a “mud” made by mixing together lime, sand, hair and water) was prepared, trenches were dug and stones set in place, using smaller stones (i.e. gallets) to fill voids between stones and mortar to set the work in place. One part skilled craftsman and one part artisan, the stonemason could envision a design, face stones and then set them in a tightly woven, incredibly intricate pattern that required little mortar to stay put. Example of random-coursed rubble walls: James Mendenhall Mill, New Castle County, Delaware, circa 1826. Source: mchhistory.blogspot.com. Rubble is probably the best example of early quarried and rough-faced stone. Rubbled stones retained their irregular shape and size, but required less mortar as they were precisely pieced together. Examples include random-coursed rubble, similar in appearance to a jigsaw puzzle, and regular-coursed rubble, which created continuous horizontal joints. As masonry improved, rubble was replaced by tooled blocks that were used to build even-coursed walls. The stonemason would “sign” his artwork by chiseling his maker’s mark into an individual stone, cornerstone or lintel – a lasting reminder of his skill and craftsmanship. 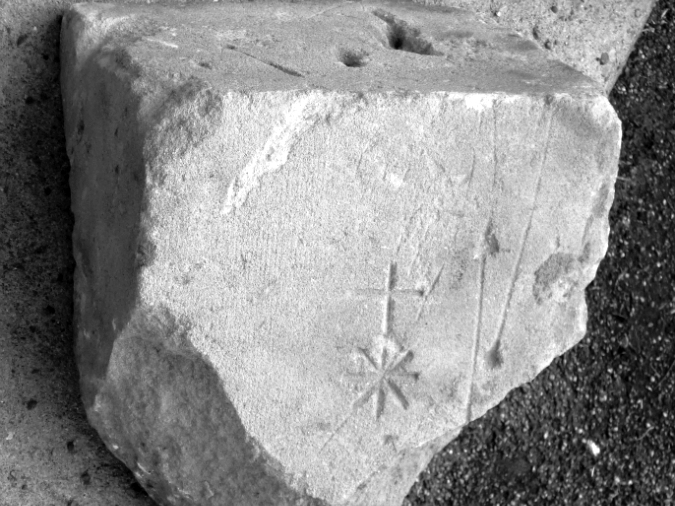 Mason’s mark on quoin or cornerstone. Source: David Sankey.